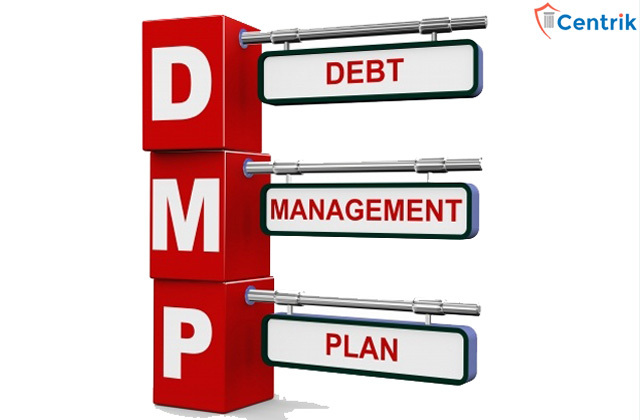 A company or agency that is in the business of recovering money from debtors of others known to be Debt Collectors. Many debt collectors are hired by companies for a fee or for a percentage of the total amount collected. These companies purchase debt at a fraction of its face value and then attempt to recover the full amount of the debt. Collection agencies often are intimidating, in trying to extract whatever money you have available to satisfy your debt. They can be just as aggressive in trying to collect debts you don’t owe, yet some people still pay, just to avoid any more contact with the debt collection agency. And that is where the trouble Begins..!! If you do not want to deal with debt collectors on the phone, there is an easy exit door available: Send them a cease-and-desist letter by certified mail that says you no longer want to be contacted by them. If they continue calling you after that than write down the time and date they called and the agency’s name. Keep any voicemails and letters of correspondence, including ones you sent to them. If you want to settle matters with the debt collection agency, you or your attorney can negotiate a deal. First, figure out how much you can afford to pay and see if the collection agency will agree to that amount. The money could be a lump sum or monthly payments. Collection agents often have deadlines and monthly goals they must meet. If they are desperate to reach one of those goals at the end of a month, they might be more willing to negotiate. If the collection agency accepts your terms, get it in writing before making payments. There should be written proof on how much will be paid and by what date that amount must be paid. Creditors have a certain amount of time six years in most states to collect a debt before the statute of limitations runs out and they can no longer get a court judgment against you. If you make a payment or agree to a repayment plan, you could restart the clock on the statute of limitations. If you are not sure whether the statute of limitations applies in your case – the rules vary from state-to-state – simply ask the collection agency if your debt is “time-barred” meaning the statute of limitations has run out. Fake collection agencies use the same intimidation tactics, the same threats of arrest and the same claims they will tell family members about the debt if you don’t pay them. The fake collection agencies use the same avenues to find debtors that real agencies use: databases that sell personal information; mailing lists; information from credit applications; calls to relatives, friends or employers; and forwarding addresses from the post office. Most collection agencies work on a commission basis, so it is not unusual for collectors to tell a debtor that he or she has to make a large down payment on the owed amount. They may say that a hefty initial sum is required in order to prevent collection fees from growing, or that it is necessary to begin the process of eliminating the debt from their records. Debt collectors also may tell you that there is a deadline for payment and threaten you with dire repercussions if the debt is not paid within the prescribed timeframe. Collectors often exaggerate the consequences of delinquency and non-payment. Threats are illegal, but suggestions that your credit score will suffer or that your possessions may be seized are simply scare tactics with nothing to back them up. What they don’t want you to know is that all they can really do is ask, cajole, and demand that you pay. The rest is bluster. Sometimes, debt collectors will ask you for personal information – your bank account number, Social Security number, where you work, references from friends and colleagues. Why? To put together a “financial statement” they need to work out any repayment plan. Debt collectors also don’t want you to know that they cannot pursue you across state borders to enforce a judgment levied against you by a creditor who sued you for non-payment and won. Transferring the judgment to another state is time-consuming and expensive and not likely to occur very often. 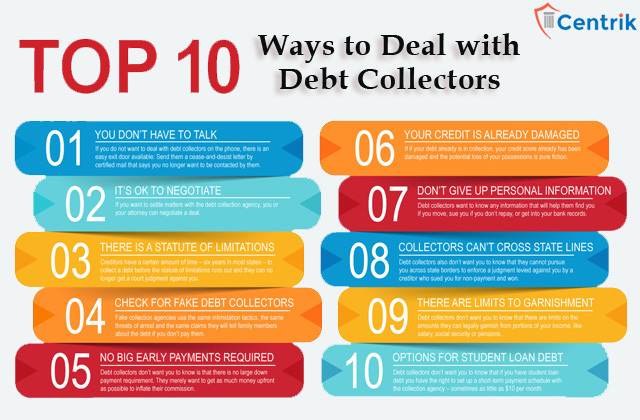 Debt collectors don’t want you to know that there are limits on the amounts they can legally garnish from portions of your income, like salary, social security or pensions. You can also file for complete exemption from wage garnishment, if you can verify that it will cause you or your family financial hardship to have any monies withheld. Successful completion of the student loan rehabilitation program (making nine out of 10 payments on time) takes the debt out of the collector’s portfolio and sends it back to the Department of Education. The collection agency loses its various commissions and bounties, and your loan is now being held under more favorable conditions. Remember, high-pressure tactics by bill collectors are used solely to scare or bully you into paying them. While it is still your responsibility to square all your valid and legitimate debts, you don’t have to endure illegal, harassing or irritating activities. Arming yourself with the right knowledge can help free you from the frustration and empower you..!! Does somebody owe you money and is not paying back? We have way to deal with this issue.